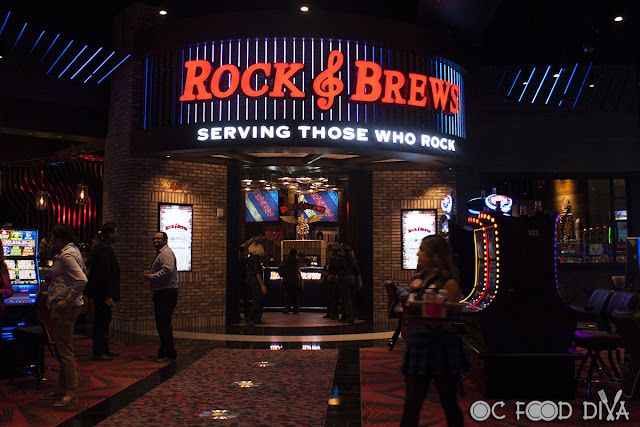 Some of the food in this post were provided by Shrimp Basket but the opinions expressed here are my own. After the opening round of the Bacon World Championships, we were famished. The aroma of bacon cooking for 2 hours would make anyone hungry. Last year, we stayed in Pensacola and drove back and forth to Orange Beach on Perdido Beach Boulevard for a week. There was a restaurant that I wanted to try but could never squeeze in called Shrimp Basket. 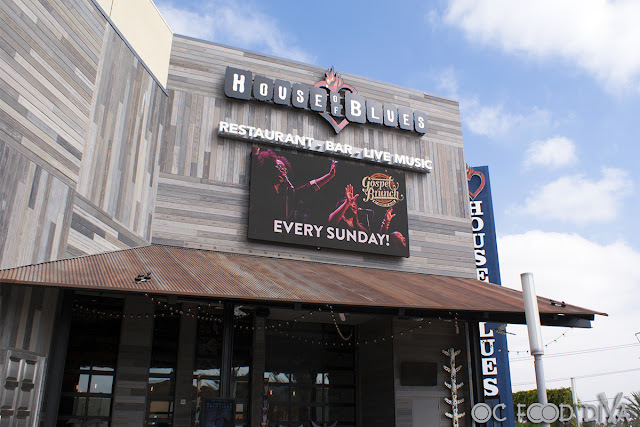 Founded in 1993 in Gulf Shores, AL, they are a casual family-focused seafood restaurant chain stretching across the gulf coast states – Alabama, Florida, Georgia, Louisiana, and Mississippi. Shrimp Basket is music to a seafood lover’s taste buds, offering fresh seafood at incredible prices! My dad has never been to the gulf coast before, so I really wanted him to experience their seafood. Fresh Oysters on the Half Shell is served with horseradish, house made cocktail sauce, fresh lemon, and saltine crackers. 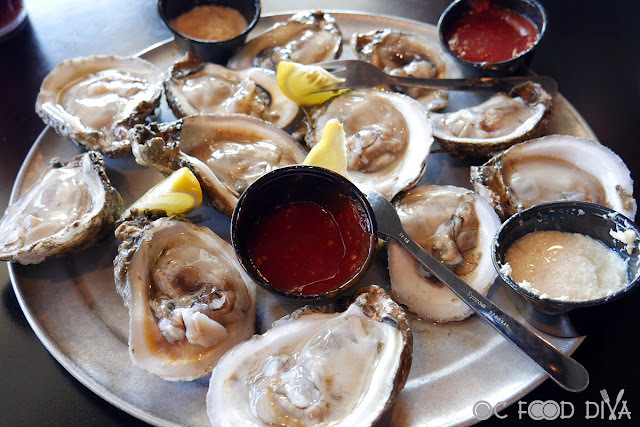 The gulf coast has great oyster beds making the oysters slightly briny and sweet with a creamy texture and flavor. I love them just out of the shell, but I also like them with a dab of cocktail sauce and horseradish. Crab Claw Basket is hand battered and lightly fried crab claws served with their signature shrimp slaw, two hushpuppies, one corn fritter, and French fries. This is a dish I really wanted my dad to try since we can’t get these types of crabs on the west coast or Hawaii. 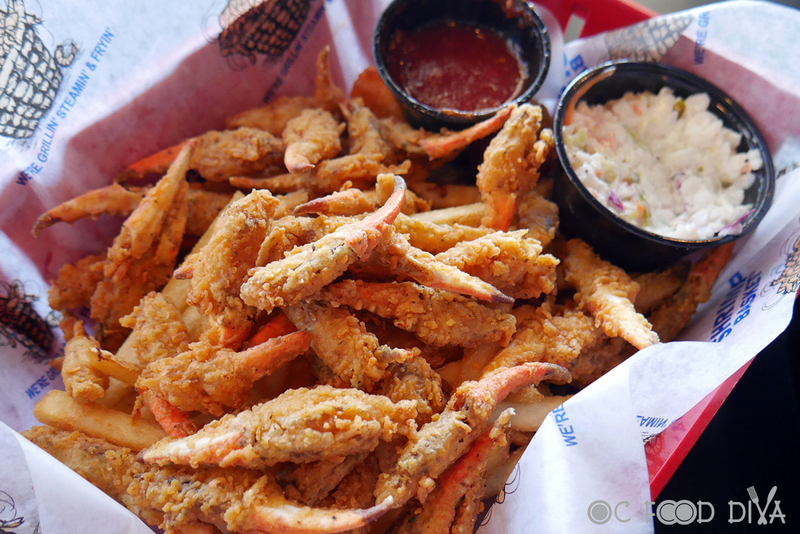 The claws are lightly fried so that the crab meat maintains its sweetness. I like them plain or with a quick dunk into the cocktail sauce. If you know how to eat artichoke leaves, the same technique works with these crab claws. I fell in love with this dish on my first visit to Orange Beach and now I get it every time I am here. Low Country Boil for Two is a platter of seasoned peel n’ eat steamed shrimp piled high with Conecuh sausage, new potatoes, corn, and served with their signature shrimp slaw. 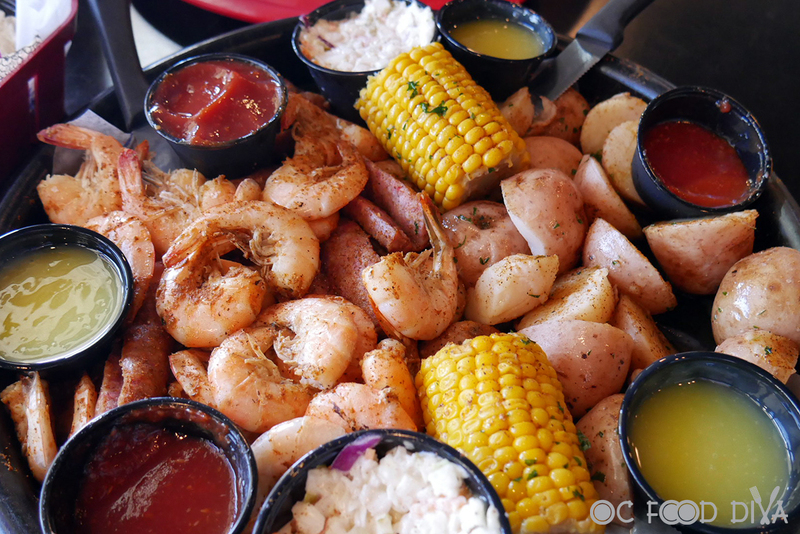 There is nothing better than a low country boil! It contains everything for a great meal – perfectly steamed shrimp, juicy sausage, starchy potatoes, and sweet corn. Another seafood great is gulf shrimp. It is meaty and flavorful. The shrimp we have on the west coast is a bit bland and not very exciting. 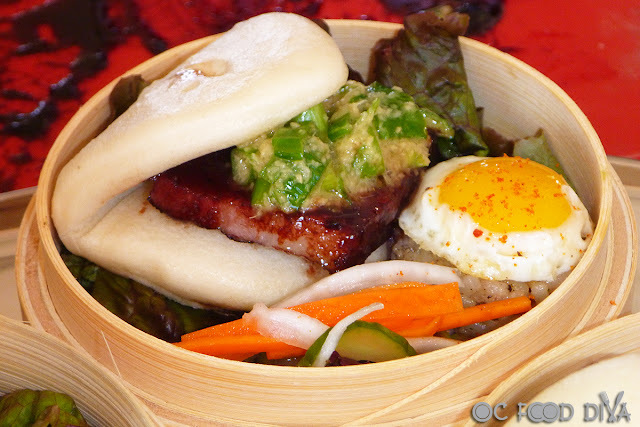 This is another food I fell in love with on my first visit and must always order it when I see it on the menu. 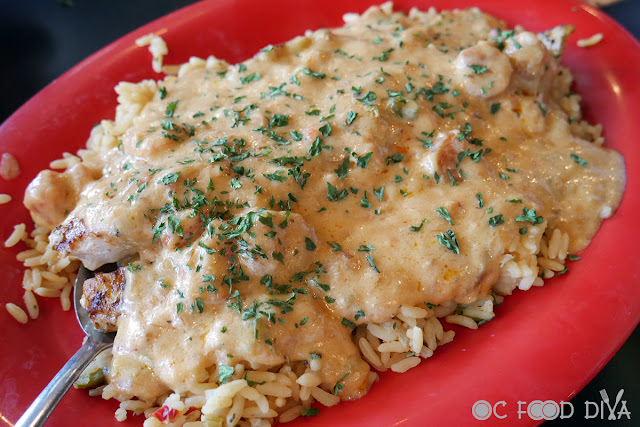 Blackened Redfish topped with Seafood Cream Sauce is just what the name implies served on a bed of rice. We had not seen redfish on a menu before. I looked it up and it is a type of red snapper, but unlike any red snapper we have ever encountered. It has a semi-firm texture and is one of the most flavorful fish we have ever had. On the west coast, red snapper is a bottom of the bucket fish with bland flavor and sometimes fishy aroma. It almost seems that the seafood in the gulf coast are happier and tastier than the pacific coast. After the first bite, my dad was addicted to redfish. The seafood cream sauce is amazing! It would also be great on pasta, biscuits, etc. Key Lime Pie is always a great end to a seafood meal. Plus, being only 3 miles from the Florida border, it was just fitting. It has a luscious texture with that key lime flavor I yearn for, not too sour and not too sweet. 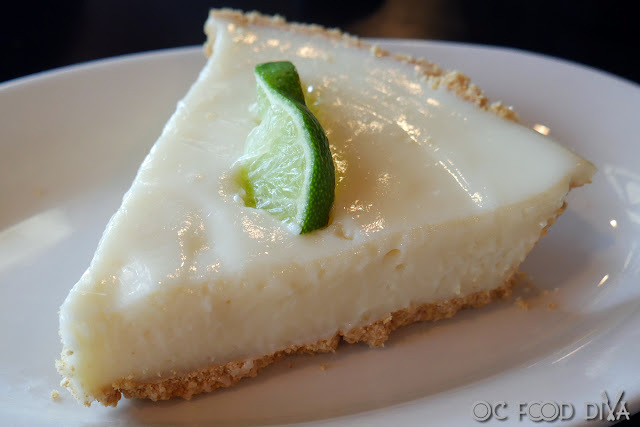 The graham cracker crust was perfect, thick enough for texture and allowing the key lime flavor to be the star. I am so happy I found Shrimp Basket on our travels and will be back again! With a seafood coma to ensue, it was back to the hotel for a nap.